As insects evolve to become resistant to insecticides, the need to develop new ways to control pests grows. 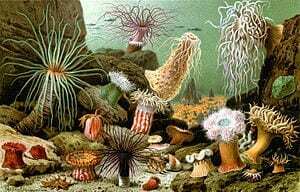 A team of scientists from Leuven, Belgium have discovered that the sea anemone’s venom harbors several toxins that promise to become a new generation of insecticides that are environmentally friendly and avoid resistance by the insects. Since these toxins disable ion channels that mediate pain and inflammation, they could also spur drug development aimed at pain, cardiac disorders, epilepsy and seizure disorders, and immunological diseases such as multiple sclerosis. This finding is described in the December 2012 issue of The FASEB Journal. To make this discovery, Tytgat and colleagues extracted venom from the sea anemone, Anthopleura elegantissima, and purified three main toxins present in the venom. The toxins were characterized in depth, using biochemical and electrophysiological techniques. This provided insight into their structure, functional role and mechanisms of action. The discovery of these toxins may be considered similar to the discovery of a new drug, as they are compounds which could lead to new insecticides and possibly new treatments for human diseases.